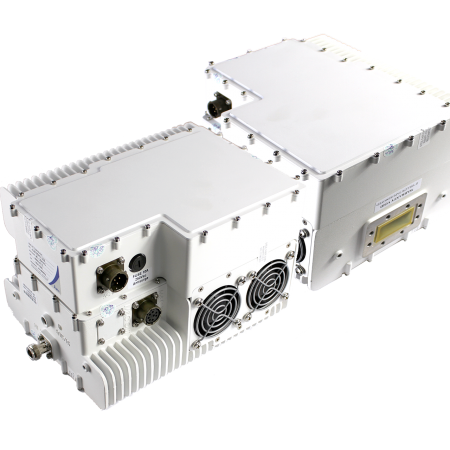 The Agilis 80 Watt Ku Band BUC is a small, lightweight, and high performance BUC that is ideal for mobile and satellite uplink applications. The Agilis 80 Watt Ku Band BUC utilises an L Band input and can be configured in several output frequency ranges and local oscillator values. The Agilis 80 Watt Ku Band BUC is powered by 48 V DC via an external power supply, alternatively the BUC can be powered by 96-264 VAC. The Agilis 80 Watt Ku Band BUC is a small, lightweight, and high performance BUC that is ideal for mobile and satellite uplink applications. The Agilis 80 Watt Ku Band BUC utilises an L Band input and can be configured in several output frequency ranges and local oscillator values. The Agilis 80 Watt Ku Band BUC is powered by 48 V DC via an external power supply, alternatively the BUC can be powered by 96-264 VAC. The Agilis 80 Watt Ku Band BUC is designed to be hub mounted and utilises innovative and efficient thermal design to make the Agilis 80 Watt Ku Band BUC the smallest and most reliable in the industry.